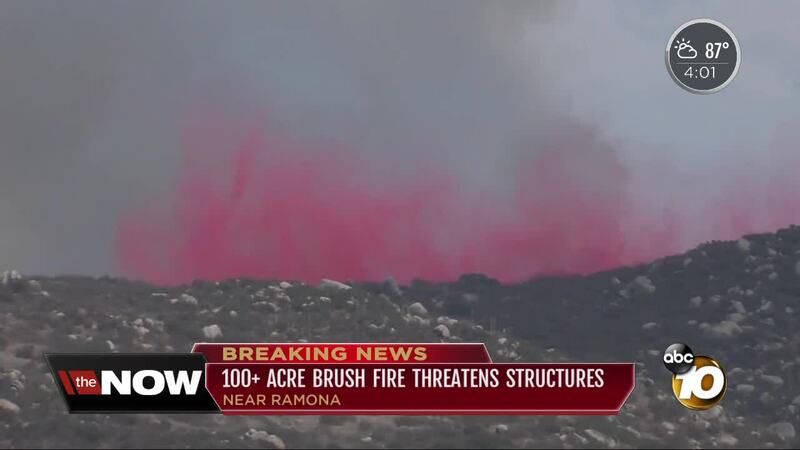 A line of fire retardant helped protect homes. 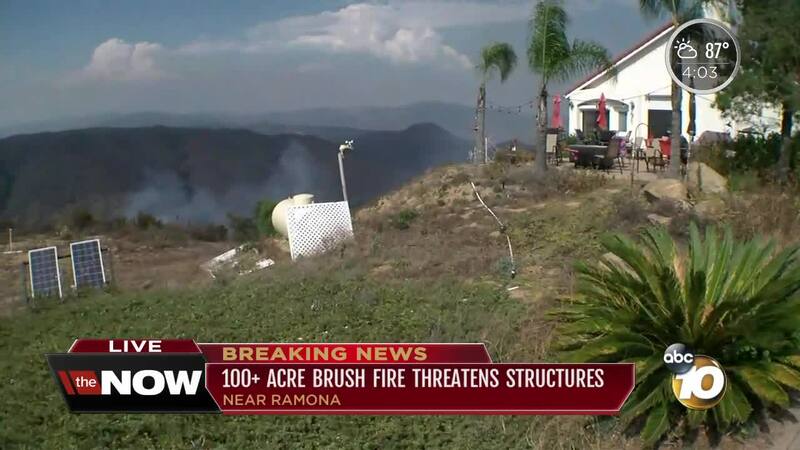 UPDATE: The fire was 100 percent contained at 250 acres by Friday at 6:20 p.m. All lanes of SR-78 reopened by 5 p.m.
RAMONA, Calif. (KGTV) -- Crews Thursday stopped the forward rate of spread of the Rangeland Fire burning in the Pasqual Valley near Ramona. The blaze started along San Pasqual Valley Road around 1 p.m. near the San Dieguito River Trail and quickly grew to 250 acres. The fire is 60 percent contained. The eastbound lanes on State Route 78 closed at Bandy Canyon Road due to the fire, but are expected to reopen by 10 p.m. 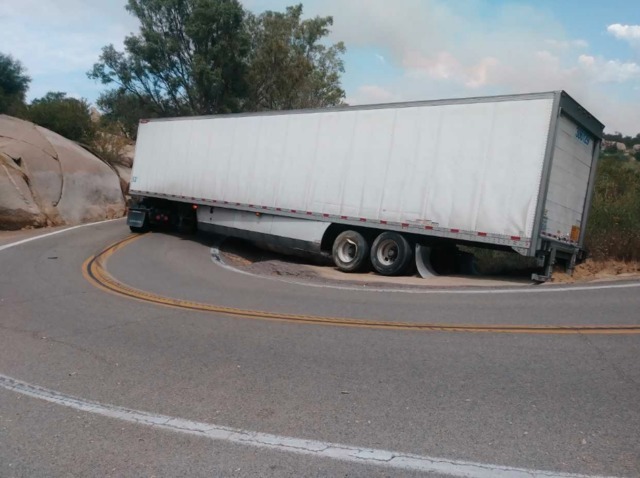 The 78 will be down to one lane on Friday between 8:30 a.m. and 5 p.m.
Highland Valley Road was also closed between Bandy Canyon and Archie Moore Road due to a big rig that was stuck on the road. Several structures were threatened by the blaze, Cal Fire said. The fire threat to homes on Rangeland Road was mitigated by 3 p.m.
Several aircraft could be seen dropping fire retardant near the blaze to try and prevent it from spreading. An SDG&E aircrane was also dispatched to the scene to help firefighters. The blaze comes roughly two weeks after the Pasqual Fire scorched 365 acres in in the Pasqual Valley, the same area the Rangeland Fire scorched. Remnants from the Pasqual Fire could be seen Thursday in the form of fire retardant.